When you are researching the past, and the answers and facts don’t fall obviously into place, you just have to keep trying. Or give up. Twenty or thirty years ago, I began to inquire into the life and work of W H Payne, who was a supporting character in one of my books. I got a certain distance, and then hit the famous ‘brick wall’. Oh well, it was the theatre I was dealing with. False names, improved CVs and bios, disappearing people, all that stuff, was to be expected. And the reference books’ versions of his life were, shall we say, ‘moulded’, even though from one main super-reputable source. So I put Mr Payne aside for the odd decade. I’m not entirely sure how he found his way, this week, to the top of my in-tray, but I thought ‘might as well give it another go’. So William Henry Schofield Payne. Yes, that is the name he was christened by. I used to think he was W H Schofield alias Payne, but whether his father, William Payne (1765-1831) and his mother Alice Schofield (1778-184?) were actually mutually married, I haven’t been able to discover. Mr W H Payne was truly famous in the British theatre. Yet he is not generally remembered. Not a buzzword like Kean, Macready, Irving, Sims Reeves & Co. Yet he was as celebrated in his area of the performing arts as they were in theirs. But while drama and opera live on, Mr Payne’s niche has disappeared: he was the most famous pantomime artist – the supreme clown – of his era. The people and press of Britain were in no doubt, and the ‘fact’ was acclaimed time and time again. The records of St Sepulchre’s Church, Giltspur Street, show that he was born 25 June 1803, and christened 31 July. Of that there is no matter of doubt, no possible doubt whatever. William and Alice are confirmed as his parents, but Boase tells us no more about them. Mr Cowen, I know not, though I spot one of that name dining at city beanfeasts. Ran away at seventeen? So that would be 1820 or 1821? Warwickshire, Birmingham? I suppose it’s possible. Then Sadler’s Wells? No. Absolutely not. 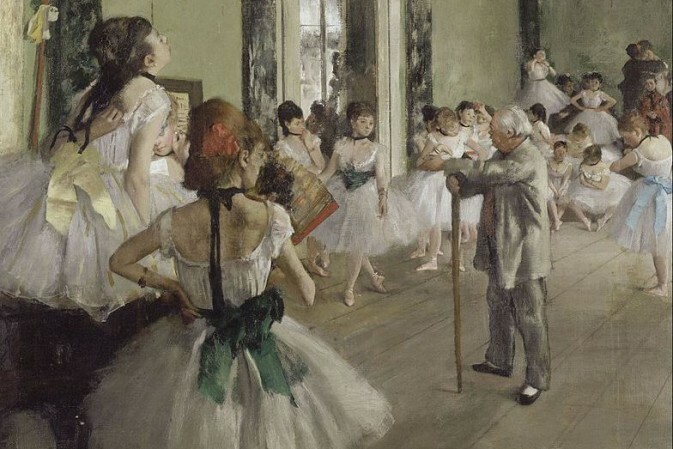 Between 1822 and 1825, Payne was a member of St Albin’s ballet at the Adelphi Theatre. He played in the chorus and tiny parts in pieces such as Tom and Jerry, Green in France, Harlequin’s Holiday, Fancy’s Opera, Dancing Mad, Another Piece of Presumption, The Quadrupeds, Doctor Faustus, Waggeries in Wapping, Waverley, Apollo Daggerwood, Valmondi, Mother Red Cap in the theatre’s ever-changing repertoire. Not until Christmas 1825 did he migrate to the Wells, there to debut in the burletta All in one Night (Black Bob) and the pantomime of Merlin’s Mount, written and staged by Thomas Dibdin, playing Powis-ap-Shinkin in the opening, and the Lover in the harlequinade. Clown was not Grimaldi, father nor son, nor Bologna, who was out of the business, but Mr Williams. Grimaldi did appear at the theatre during 1826, and Payne played with him as Morville in The Red Man and the Savage, but far from taking lessons he opened the evening with St Albin’s Adelphi dance piece, Wine no Poison (L’Amour), mounted by and featuring … Mr W H Payne. 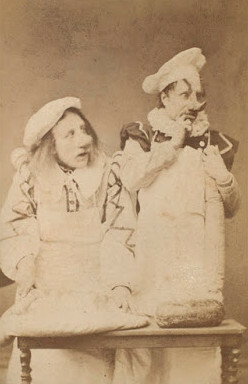 He acted in various plays (The Force of Conscience, The Blind Boy, The Duke and the Devil, Tom and Jerry etc) and, when Dibdin’s Mother Goose was staged, Grimaldi did his goose-in-the-oven act and ‘Mr Payne exhibited his system of gymnastic exercise and Indian juggling’. Then Mr Dibdin’s season ended and so did Mr Payne’s contract. 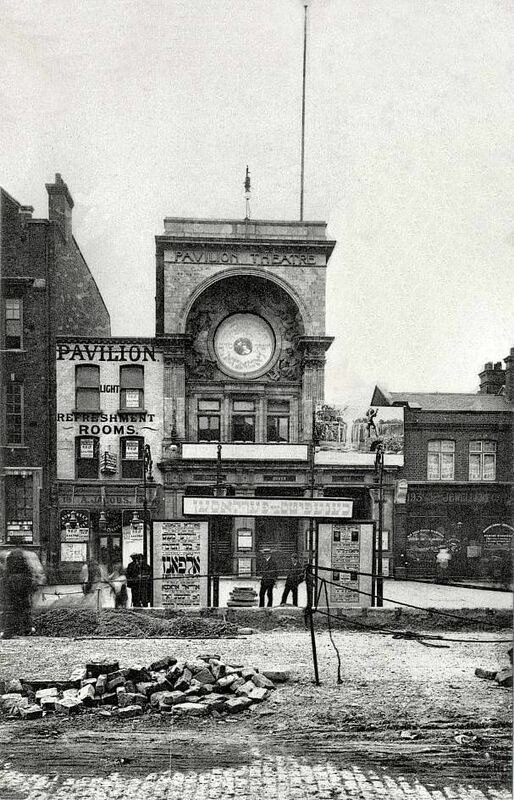 The Pavilion Theatre on Whitechapel Road, around 1900. In 1827, two buildings, adjoining Baker’s Row in Whitechapel, were converted into what was to be called the Pavilion Theatre (so, um, Mr Boase, Payne can’t have been there two years before it was built!). Behind it, was the pub known as the Weaver’s Arms. 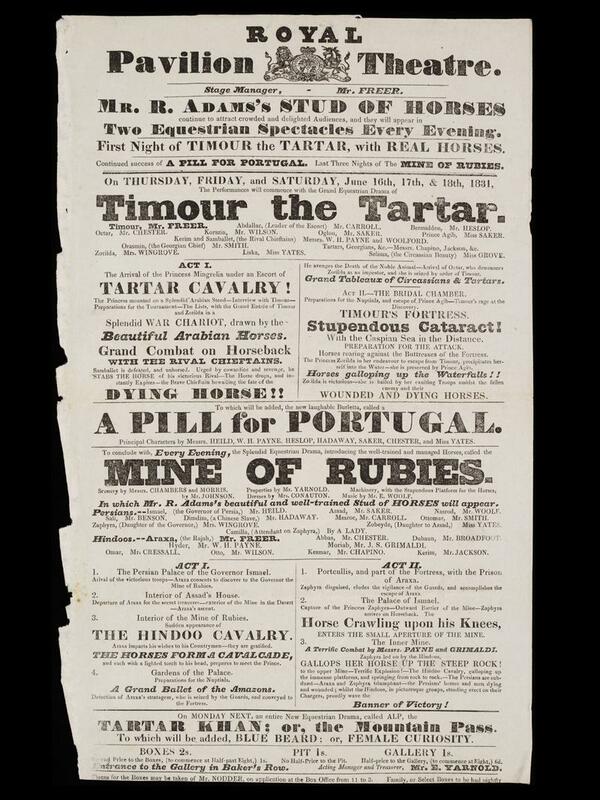 Theatrical goings on in the East End were not well reported in the 1820s, but a marvellous website, The East London Theatre Archive, has collected many playbills, from which I gather that the Pavilion was opened 16 April 1827, and Mr Payne was part of the company. He played Simkins in A Kiss in the Ring and performed a comic dance. The young sister of the landlord of the Weaver’s did a pas seul. The following year (5 August 1828), Mr Payne and Miss Rountree were married. So, we take a little trip backward to investigate Miss Rountree. Ann by name. As so often, the waters here have been muddied by family historians, but here’s what I have been able to gather. Edward Rountree (1786- 31 March 1850) of 22 West Street, Mile End, at first a musician, then an ‘extra weigher’ in HM Customs for 35 years, married one Ann James (m 28 June 1808), and of that marriage were born (at least) Edward Charles (1813; d Peckham 18 December 1866), Frederick Alexander (b Charles St 16 September 1814; d Hounsditch 11 June 1861), allegedly a John Thomas, and Ann. JT I know nothing of, but, while Ann danced, both Edward and Fred went into pub keeping. Edward ‘of 17 Gravel Lane, Southwark’ turns up at the King’s Head in Christchurch, the Weaver’s, the Ship and Blue Coast Boy in Walworth, the Coach and Horses, Stratford and the Globe Tavern, Peckham, and as an officer of several of the important Licenced Victuallers associations. Fred I see at the Crown and Sceptre Woolmore Street Poplar then the Salmon and Compasses, Pentonville, with its adjacent Music Hall. In 1857 Charlie Solomon, father of the would-be famous Edward Solomon, was pianist there. Lastly, he was ‘of the Sir John Falstaff, Hounsditch’. For all that Edward was the star of the family, Ann chose to name her third son after Frederick Alexander. 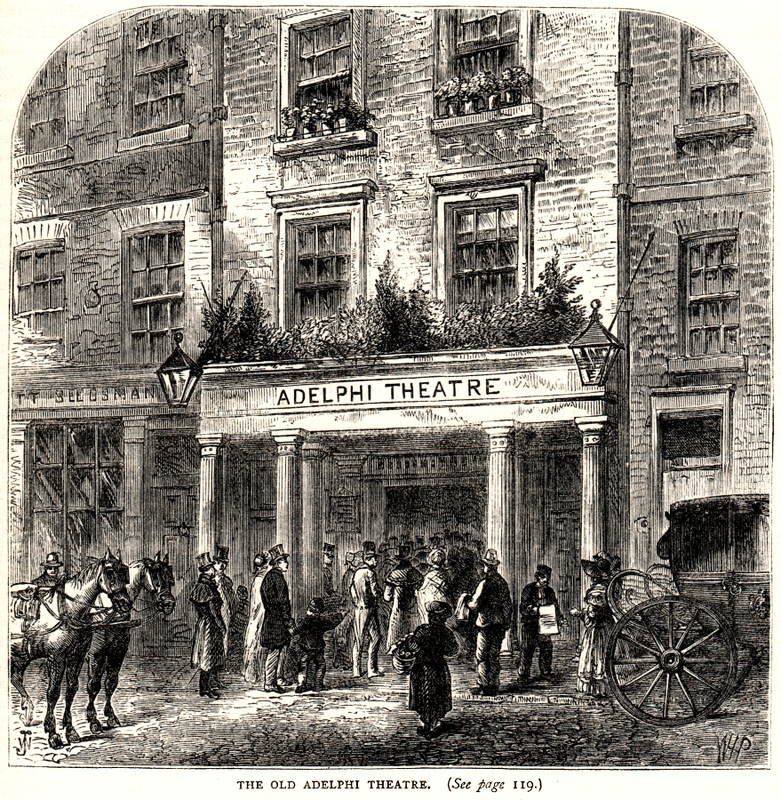 The ‘old’ Adelphi Theatre in London. I next spot her ‘pupil of Mrs Searle’ making an appearance at the Adelphi Theatre, dancing alongside Mr Payne (and Mrs Searle) for the first time, 30 October 1823. Mrs Searle, eh. Well, I could write a whole piece on her. Caroline Frances Seale (sic) was one of the Giroux girls – Georgiana Genevieve, Cecilia Gertrude, Louisa – who, with their brother and father made a brief stir in dancing circles in the early years of the century, before retiring to Bath and Bristol to become the most classy of dance teachers. I see Ann more at the Adelphi, then at the Surrey (L’Amour et le Poison) before she turns up at the Pavilion and turns into Mrs W H Payne. 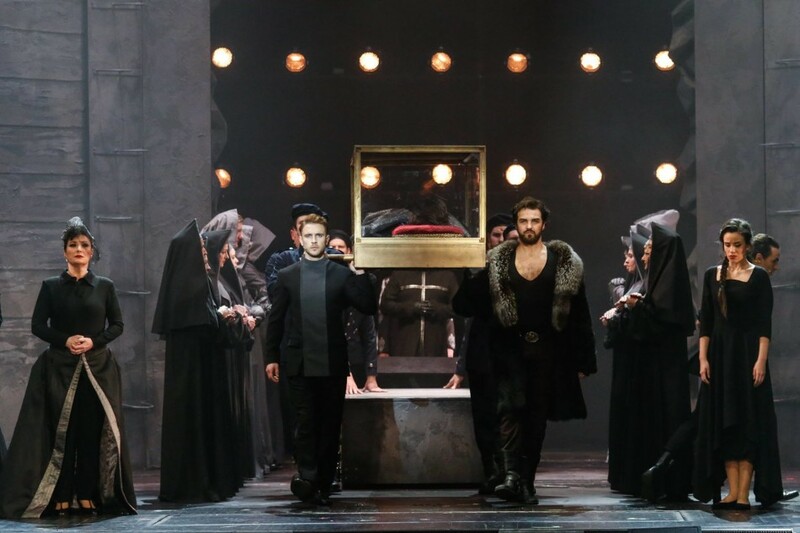 Also, allegedly, as ‘Mdlle Albert’ at the Italian opera and in Paris. Maybe. Anyway, here are William and Ann Payne. They would play at the Pavilion, when it was open, through to 1831, during which time Ann gave birth to their first child, Harriet Farrell Payne (14 April 1830), named in honour of John Farrell, the theatre’s manager. A son, William, born the following year (x 22 October 1831), seems not to have survived. And at Christmas 1831 they moved to the big time. Which is where many wee biogs of W H Payne start. To read the original article, click here. For the East London Theatre Archive, click here.